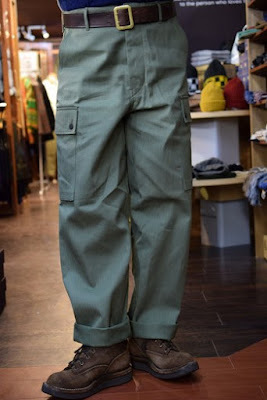 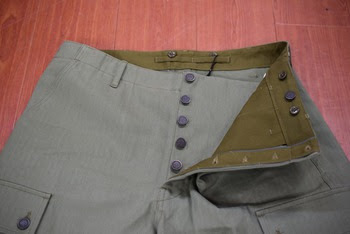 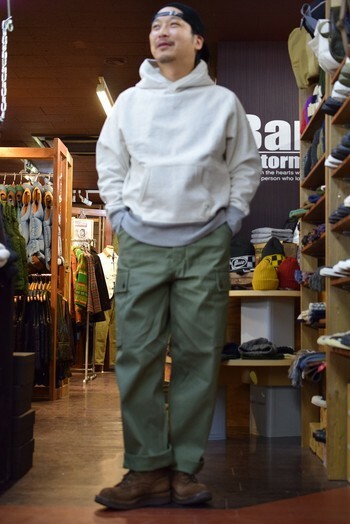 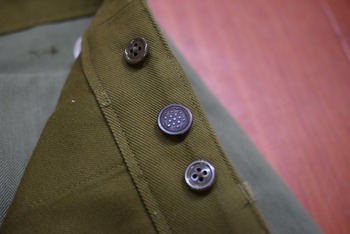 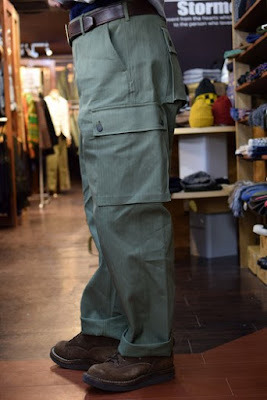 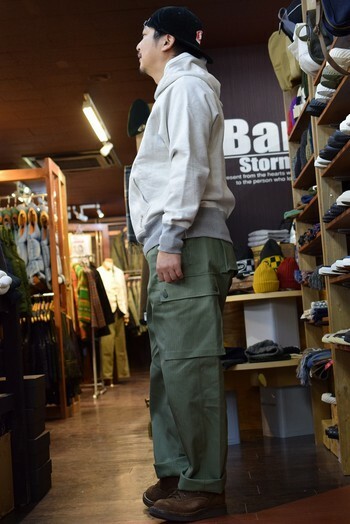 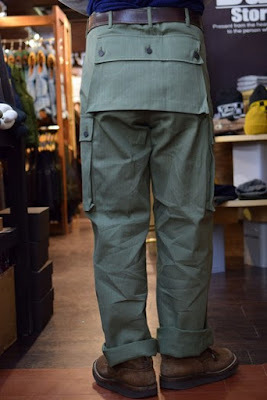 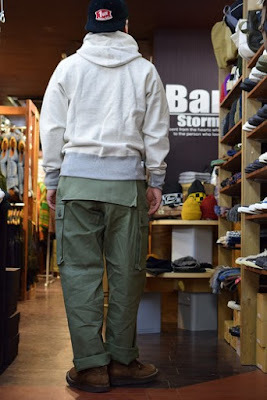 Let me introduce 5 pockets monkey pants from Nigel Cabourn. 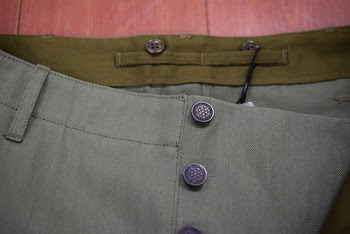 I normally wear size 34 inches, but I’m wearing size 36 inches. You can make your coordinate with a parka or low gauge knit wear.